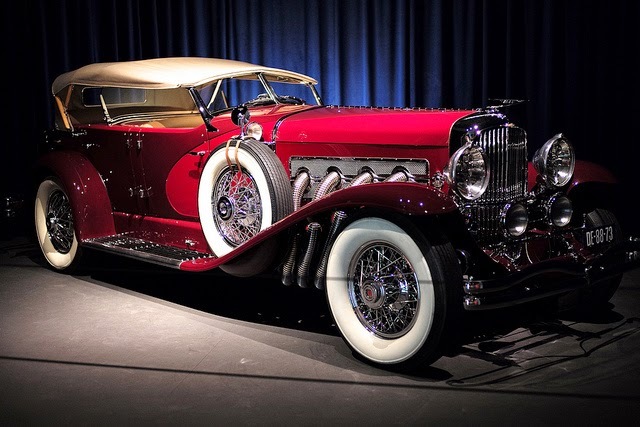 I was channel surfing a couple of nights ago, and came across a show about Jay Leno’s discovery of a rare, vintage Duesenberg car (described by Leno himself here). Apparently, Duesenbergs were so opulent that the name was the origin of the term “doozy,” meaning extravagant. During the show, Leno was explaining the difference between early cars and those made now, and said, roughly, that it used to be that technology was expensive and labour was cheap. Now, technology is cheap and labour is expansive. The most successful areas of biology right now are arguably cell and molecular biology, and I don’t think it’s any accident that those are areas where the most automation has occurred. I’ve talked before about robots that can run experiments, for instance. I wonder if other areas of biology can catch up. In my own area, neurophysiology, the task of placing electrodes and getting recordings is sufficiently delicate that automating data collection seems a long way off. Automating data analysis, however, is more feasible. And I worry about whether those areas of science that have the luck of being more automated are going to out-compete those kinds of science that aren’t able to do so. Er. Perhaps I should say more than they're already out competing those non-automated sciences. Of course, making that transition in the manufacturing industry (particularly the automotive industry) was not easy. I remember a lot of grief kid over massive layoffs and job becoming obsolete. Perhaps one good thing is that because the cheap labour in science is driven by short-term labour (students), rather than people who were counting on a particular industry to provide a livelihood for decades. Photo by Roman Boad on Flickr; used under a Creative Commons license. The trip to the Coastal Studies Lab yesterday was a mix. Found some mud shrimp, though not a lot. The beach was not terribly busy, and the water was wonderfully warm to be mucking around in. The down side was that even after considerable digging, I found no sand crabs. Once, I had a conversation with an aspiring writer of fiction who simply could not wrap her head around the idea that scientists write all these technical articles, submit them for publication, and don't get paid for it. She has "cash per word" as her model for writing and publication, which is a standard one in much of publishing. If she had problems understanding that, I wonder what she would make of these things called "page charges." A brief digression into the economics of publishing. Publishing is kind of weird, because the more copies of something you make, the cheaper it gets per copy. That's because the initial set up of printing presses, proofs, and so on require a lot of work and chew up the bulk of the expenses. But once those are set up, running more copies off is pretty much an automatic process with little extra cost. This little fact of printing matters a lot for scientific journals. 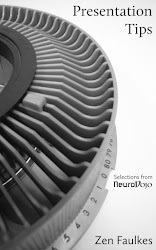 Even some of the top journals, highly read and cited around the world, print only a few thousand copies. To make matters even worse, the level of quality expected is phenomenally high -- archival, acid free paper, often requiring high resolution photographic plates (sometimes in colour), highly demanding typesetting and proofreading requirements for mathematical formulae, and so on. How do journals manage to continue publication? For one, they often charge institutions subscription rates that astonish people outside the field (think the cost of a new truck or so). Some are subsidized by a scientific society. A few have sufficient readership to run ads. And some have these things called "page charges." Essentially, pages charges are a fee the author must pay to have an article published. That's right, you have to pay the publisher instead of the publisher paying you, the standard model for most of the rest of the publishing world. I mention all this because I'm having my first real run-ins with page charges for a couple of manuscripts I've submitted. I received a letter from one journal informing me that my article, if accepted, was estimated to run 13 pages, and I would be expected to fork out 700 Euros should my paper be accepted for publication. My first response was, "What the heck's the exchange rate on a Euro?" A quick internet search later, I was sucking in breath as I realized I had put myself on the hook for US$841 and change. At this point, the paper hasn't been accepted, so I might not have to pay. But if it does, I'm not sure where the money to pay the pages charges will come from. Many granting agencies allow "publication costs" as an allowable expense, and even have a line item in proposal budgets for it. But if you don't have a grant (like me), well, things could get a little tricky. In other news, I'm off to the beach this afternoon to collect animals and check on this season's crop of ascidians. If they're at the point I think they are, I will suddenly be very busy very quickly with those guys. Once, while watching a TV series about the Bible called Testament, the presenter talked about the efforts to find archaeological evidence for the exodus Moses led from Egypt. The evidence was so paltry that efforts to do so, he said, reduced the wonderful, epic story of the Exodus “to a few Hebrews mucking about in the desert.” I sort of got the same sense of diminution when I read this article, in which a mathematician argued that Christ’s resurrection could be proven mathematically. To me, the first part of the argument is old and unconvincing. There’s an old philosophical argument called Pascal's wager. The argument is thus: “There either is a God or there is not. If there is, and you break His laws, you will suffer for all eternity in Hell. If there isn’t and you follow His laws, nothing ill will befall you. So you’d better convert.” When I first heard Pascal’s wager as an undergraduate, I argued then that it treats the existence of God like two two heads of a coin, ignoring that there many be many other reasons to believe in or doubt the existence of God. And the first point of Swinburne’s argument is to set a probability of God’s existence as being 50-50: there is, or there isn’t. The strength of faith can be an awesome thing. And it always seems to me to be lessened by mucking around with numbers to support it. And why do they do that? They do it because they know that's what it takes if you want to understand nature's complexity just a little bit better. That's what it takes to make the tiniest dent in the sum total of human ignorance. Perhaps I like this quote because it so closely parallels my own experiences. It's been a week since I left Santa Barbara from the Third International Tunicate conference. Long past time for a report. I left in plenty of time on Saturday. Went up to Houston, as usual, then had over an hour layover at Los Angeles in LAX, wherein I had plenty of time to contemplate the outrageous prices for things in the store. (Tip: If you want some chocolate bars or snacks when you're traveling, get them before your plane stops at LAX!) And I missed my plane to Santa Barbara. This is one of those awkward points where one is torn between being honest and knowing someone is going to read it and think, "This guy is too stupid to live." The deal is this. I get into the airport. Check the gate. The gate says 62A. I'm at gate 62A. There's a sign up saying this is a shuttle to other gates. "Ah," I think, "we wait here until an agent comes to gather all of us going to that flight in one go." I sit there and miss I don't know how many opportunities to got the right gate I don't really realize how the shuttle works until it's too late. There's no sign saying how often the shuttle is supposed to run. I later realized the driver had been in a few times, but didn't say anything! So unless you were looking up at the right moment, you wouldn't realize anyone was there to take you over to another gate. The next morning (Sunday), I wake up well before breakfast is served. Fortunately, Santa Barbara is the only university in North America built on a beach, so I go walk around the beach. I've been to the campus before, almost exactly 10 years ago, and am reminded how nice it is. I'm also reminded throughout my visit about how environmentally conscious California is compared to Texas, where I think "environment" is considered to be a dirty word. Electric cars, notices up encouraging water conservation, signs noting that recycled water is used in the toilet, recycle bins, and much more -- none of which I ever see a hint of in Texas. So I spend the day sitting in talks. For the night, they've put us in student housing, with various games (ping pong, pool, foosball, air hockey, those sorts of things.) I stay up quite late goofing around and talking to people. The next morning, I wake up very early again, and go to talks with only a few hours of sleep. The big thing is that posters are Monday night, which I have. I get my poster up. I'm up late again talking about my poster and socializing. The response to the poster is good, although I wish there were more data on it. Basically, the sort of questions I get convince me that I'm on the right track with the project. Tuesday morning, I can't sleep in again. The talks that are further afield from my work -- well, I zone out a bit during some of those, I'm afraid. But the nice thing is, they've only scheduled a half day's worth of talks. During the afternoon, they give us an excursion to the Santa Barbara Natural History Museum, which is really excellent. It's got some great research programs and excellent exhibits. Some of the highlights include a real blue whale skeleton, the only woolly mammoth hair on display in North America, and a butterfly house. Much more besides! I wish I'd had another hour or so there. That night, I think this was the night they had a roundtable discussion. I got up and talked a bit about what we're trying to do with the Coastal Studies Lab. I kind of feel it's important for me to promote the lab, because the two other people associated with it who were supposed to come, couldn't. My colleague Virginia was recovering from minor surgery, while the lab's director had his reservations fouled up. After the roundtable, yes, I'm up late again. Not quite as late as the previous nights, but I still don't think I'm in my room before midnight. I learn that the European's love for soccer seems to carry over to foosball. An Italian woman named Lucia positively slays at foosball, much to the surprise of many. I lose at pretty much every game I play at; I think I win one game of ping pong. Another Italian researcher, Paolo, tickles the ivories and plays a few things like "O Solo Mio" on the upright piano in the room. Down the hall, I hear some spirited alcohol-enhanced discussion about ascidians and Hox genes from the conference organizers and a couple of of bigshots in the field. The last morning of the conference, we take a picture of attendees during the coffee break. I think there's about 100 people total, which is a good size for a conference. I don't go to the last couple of talks so I can get ready to catch my plane back. All in all, a very good conference. The major complaint I had (which I posted to the Tunicata email discussion list later) was how few people kept their talks to the scheduled 20 minutes. If people had kept on time, I could have done a few other things (like write blog entries, deal with email from the office, etc. ), but I was kept running pretty much nonstop during the day. Which is to say, innocuous -- at least the local effects were. I certainly have sympathy for those in Mexico who have been harder hit. We had some rain, some wind, probably around the worst at 5:00 am (at least, that's when it was strong enough to wake me up). It's just spitting very little now, and I expect we might even get direct sunlight before the sun sets. Just when I thought I would start getting some stuff of my own done in the lab, along comes Hurricane Emily. The University is closing at 5:00 pm and will stay closed tomorrow. Some of the experiments I wanted to start today I can't, because they would have to be stopped tomorrow. On the plus side, it did give me a push to clean up a few things in my lab, as I moved a lot of material off benches away from the windows. Yep, kind of sad that it takes a hurricane to get me to clean! A reference to cane toads, an exotic introduced for pest control in Australia that did no control the original pests and became a much bigger nuisance than the one they were imported to solve. Have been busy and sleep deprived the last week, and hope to have a report on the Tunicate conference soon. Real soon. My conference poster got reprinted, and while it was printing, I found another small typo. Aiieeeee! They won't die! They just won't die! No more changes now. I'll be curious to see how many people I actually get to talk to about ti, because I saw today that the poster session runs at the same time as a conference party. My experience in the past has been that the partying tends to get a little more emphasis than the poster viewing. But maybe this group is more sedate than the crowd at other meetings I've been to. Also not planning any more changes to my latest grant proposal. I had to make quite a few this morning. The research office made some changes to my budget, which caused a little spillover to changes on other pages of the proposal, which I hope I've tidied up and taken care of now. Unless there's something tomorrow, that one is also done and in final form, for good or ill.
Once I get back, I'm hoping I'll finally be able to get into the lab to do research. But this conference, these grants, all this stuff has kept me stuck to my desk for the first half of this summer. You can read something on the screen a dozen times, but don't spot the typos until you have a printed hard copy in front of your eyes? Not such a big deal when it's a simple sheet of letter paper. Slightly more annoying with it's a 2 x 1.25 m colour poster for the conference I'm going to this weekend. I spotted one typo literally as it was coming off the printer roll. I thought, "I'm not going to reprint it for one lousy typo. If there's a scientific error, or two other typos, I'll reprint it." And while showing it to my student Michael, I found one more and he found one more. Dang! Back to the printer once more tomorrow, hopefully for the last time. I'm also hoping to get the paperwork finished on my latest grant before I leave this Saturday. The deadline for submission is Tuesday -- while I'm out of town. Which is just a touch nerve wracking. But I was assured by the people responsible for such things that they would have the paperwork done by tomorrow. Fingers crossed. I celebrated Canada Day by submitted another grant proposal. This one, as usual, is to the National Science Foundation. It's called a research initiation grant, and it's worth US$147,500 if I get it. But it's getting harder and harder to get grants from the NSF, because their budget hasn't been increased very much under the Bush administration in the last couple of years. Also played hooky part of the day to watch War of the Worlds. Genuinely scary. The Martian war machines are true to the novel's original description and their enormous size really comes across (See this one on the big screen if you can; it won't be the same on a video screen). And there are some nice nods to George Pal's classic 1950s movie, too (but not, sadly, the memorable "heat ray" sound).